This is Kymberlee Ruff again. I have learned SO much from the Tibetans about empathy and compassion. 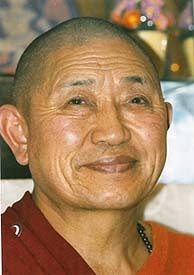 One of my favorite teachers is His Eminence Garchen Rinpoche. We were lucky enough for him to visit Santa Barbara recently. 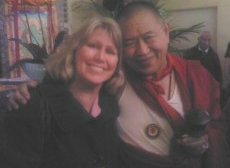 Garchen Rinpoche was imprisoned by the Chinese Government for 20 years and when he was finally released after years of torture, he was even more compassionate than ever.